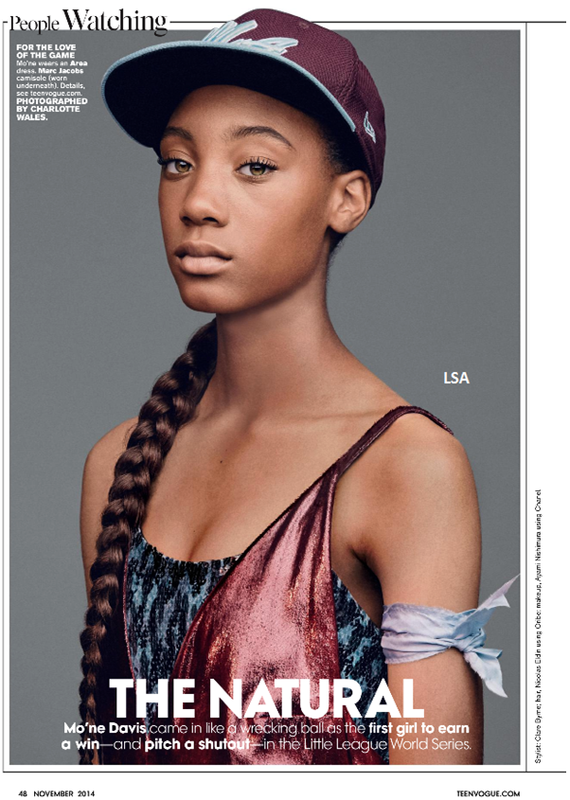 Mo'ne Davis was first feature on here a few months ago after she made Little League World Series herstory ;) Since then, she's been everywhere showing off real girl power. Recently, she was photographed for a Teen Vogue feature. She strikes a power pose in the above photo, and I think it's befitting. Mo'ne is gorgeous, but more important she's super talented. She's established her name and arm as a force among young and old athletes alike.